Premier LPG are established as the leading independent LPG supplier to homes and businesses in North Wales due to being able to offer the best possible prices for LPG supply and because of the great customer service we provide. Our head office is now based in Preston and in addition we have we have LPG tankers and drivers based at Ellesmere Port just a stone’s throw from the M56 and M53 motorways. This means we have great access to homes and businesses throughout North Wales and ensures a fast, reliable and efficient delivery service to our customers. 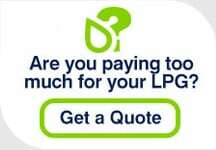 We are able to offer the cheapest prices for the supply of LPG to homes in the area. Following changes to legislation a few years ago, switching to Premier LPG for the supply of your LPG couldn’t be easier, and it is also FREE to do! We have recently completed the transfer of several Residential developments, where properties share LPG storage tanks and LPG use, normally use a metered system to allow LPG equipment to be shared by the properties on the estate. This is often the case when farmhouses and barns being converted to domestic homes. As most farms, etc. tend to be in rural locations they are not served by mains gas. LPG is the ideal alternative fuel for these communal developments because sharing LPG equipment is the most effective infrastructure to supply LPG to properties located close together. If your business is not on the national grid you will find LPG a perfect alternative to natural gas. It is a cost effective fuel to use and can be used for a variety of purposes; from heating premises, cooking with a real flame, running Forklift Trucks and dry crops as well as many other industrial and agricultural uses. North Wales LPG users can find more general information on the following pages: Domestic LPG transfers, Metered LPG transfers and Commercial LPG transfers.